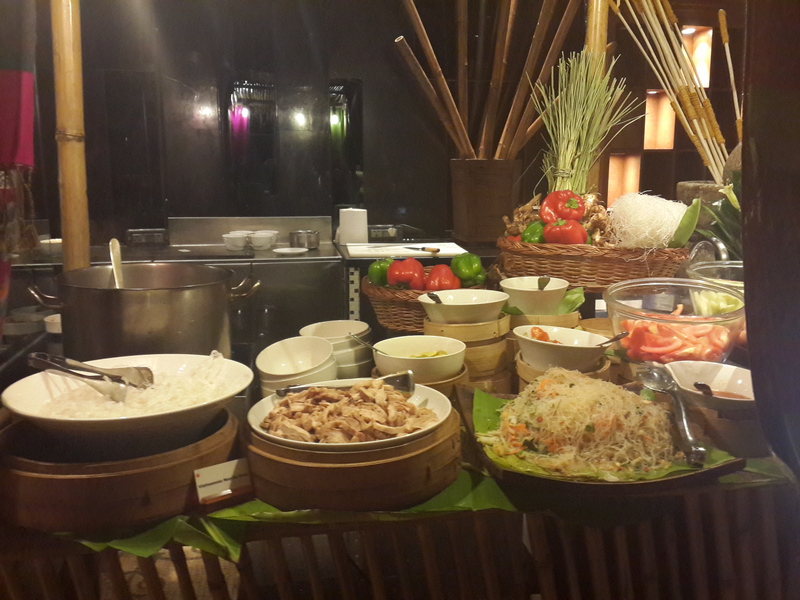 How we Indians love Asian cuisines, be it Chinese, Japanese or Thai. We try, we experiment, we even tweak it to our own liking. At the end of it, we simply love it. Whenever I get to try any new Asian cuisine or rather just any cuisine, okay just try new food, I am just too excited. 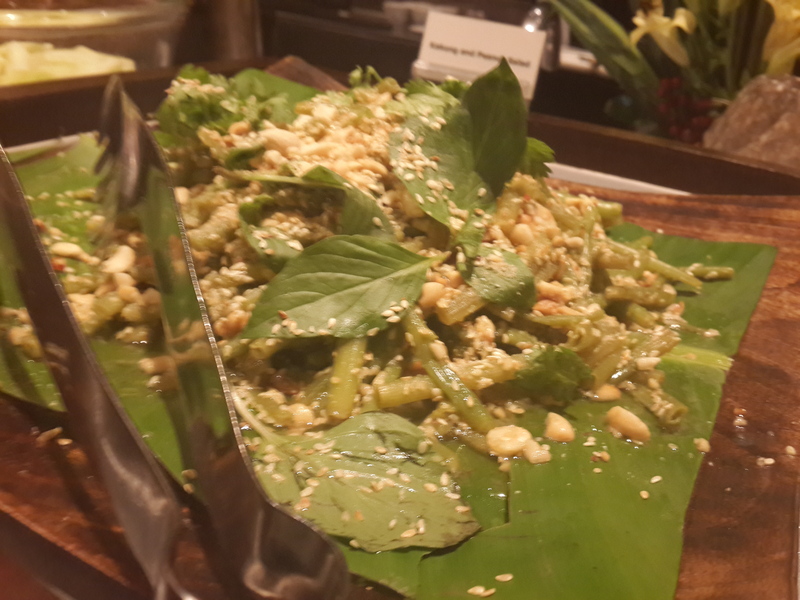 So when Sofitel Mumbai, Bandra Kurla Complex ( BKC ) announces Vietnamese Food Festival, you ought to be excited. And receiving an invite for it, makes it doubly exciting. I have never tasted Vietnamese food. So I decided to do my own little research of it online before I went ( and by research I mean reading Vietnamese Food on Wikipedia ). From what I read, Vietnamese food is healthy, some items are seasonal and they believe in balance of all the flavors, be it spicy, sweet, salty or bitter. And after a nice info talk with Chef Indrajit of Sofitel, we got to know that the food is prepared with great passion and simplicity. 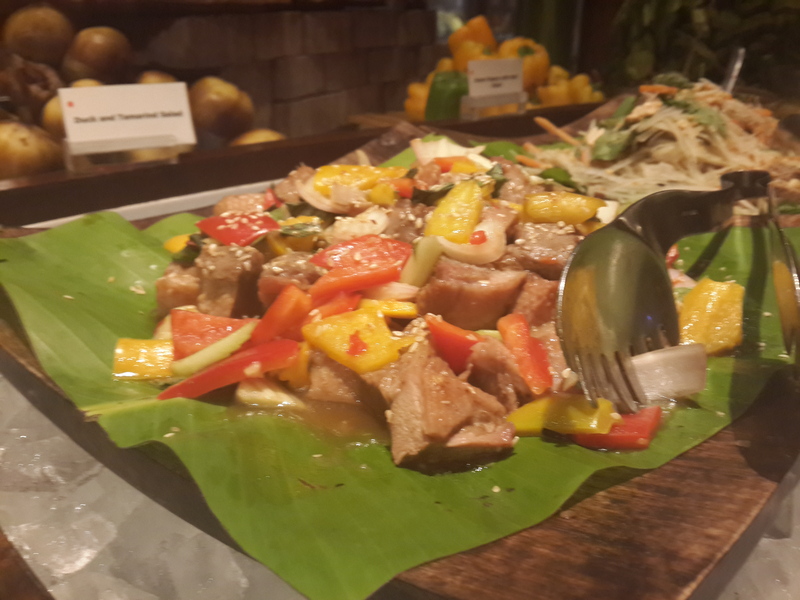 Chef Dao Van Son has worked with great chefs all over the world. He is currently working as the Executive Sous Chef at Sofitel Saigon Plaza, Hoh Chi Minh City, Vietnam. 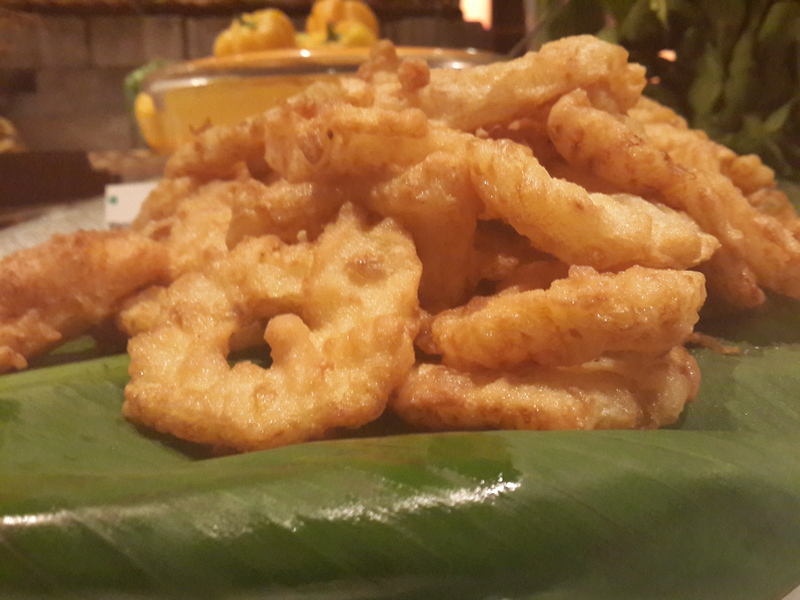 His creations are with basic ingredients, traditional spices and more to the roots. After reaching at the venue, we meet Chef Indrajit and had a very detailed conversation about the festival, after gaving us a tour of it and we got to work. 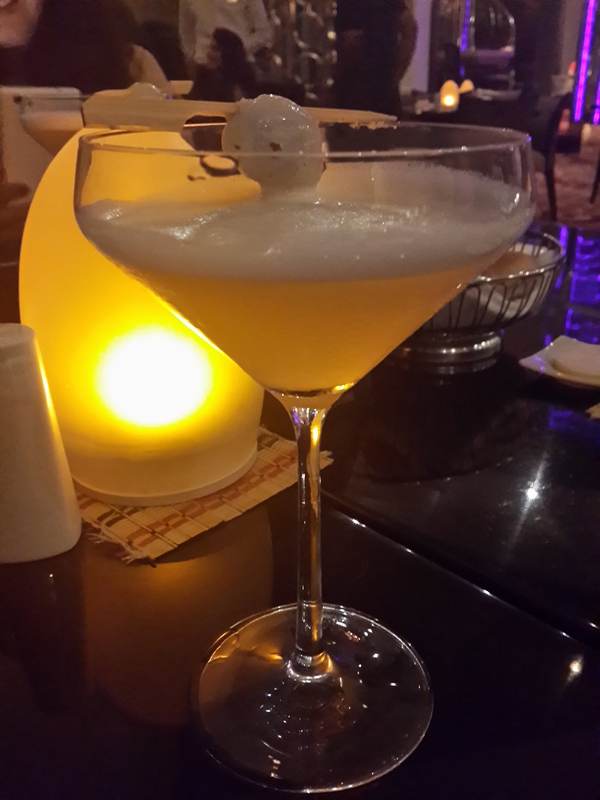 Our drink for the night was the Lychee Martini, it was non – alcoholic (good for me). 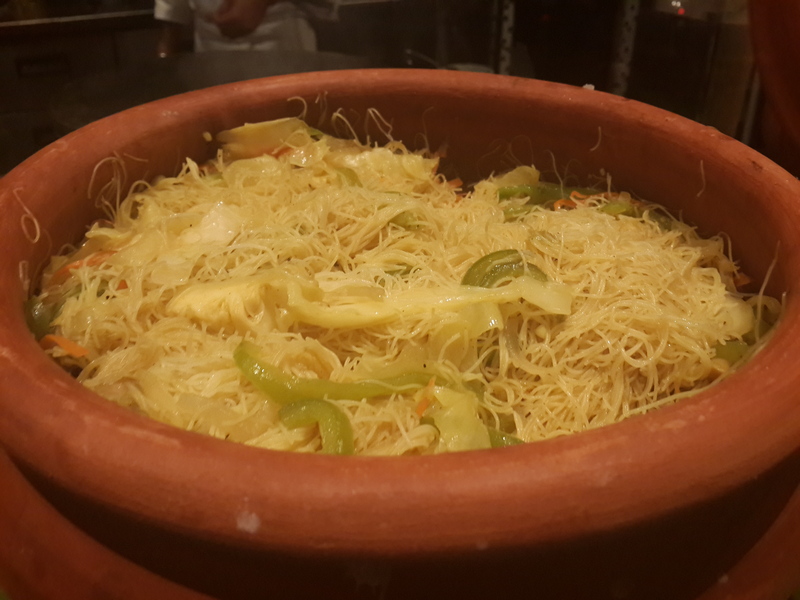 It tasted really nice and different and perfect for the hot summers. Each salad had a distinct taste. 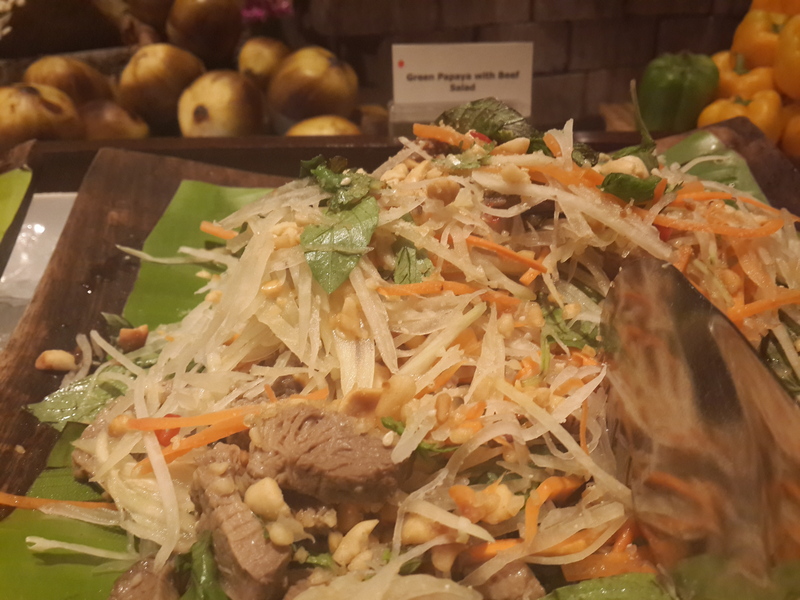 The Green Papaya and Beef salad, is not the usual spiced up salad we eat at other places. It is less spicy and relays more on the actual flavor of the papaya and not enhanced with sauces or spices. 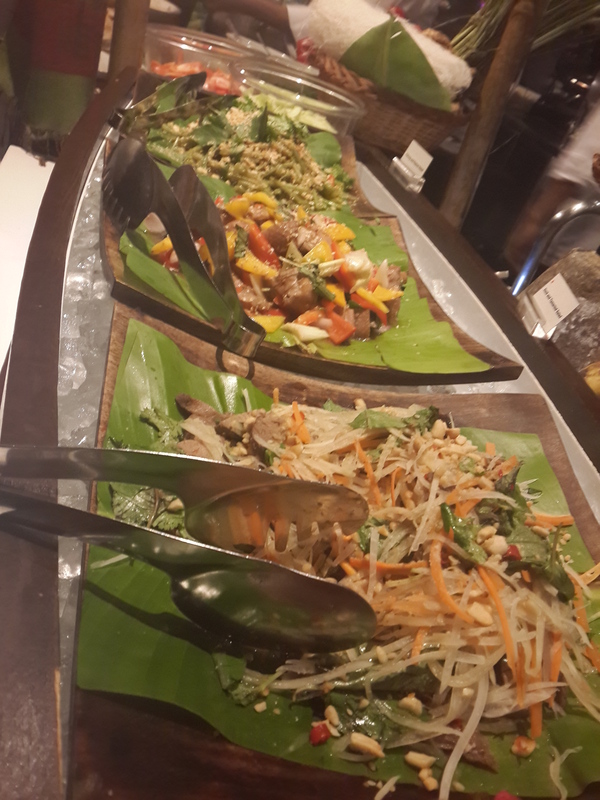 The Kakung and Peanut Salad was better than the three salads. Again not something packed with flavors. But the peanuts and Kakung makes things slight interesting. The Duck and Tamarind Salad was okay from the three. 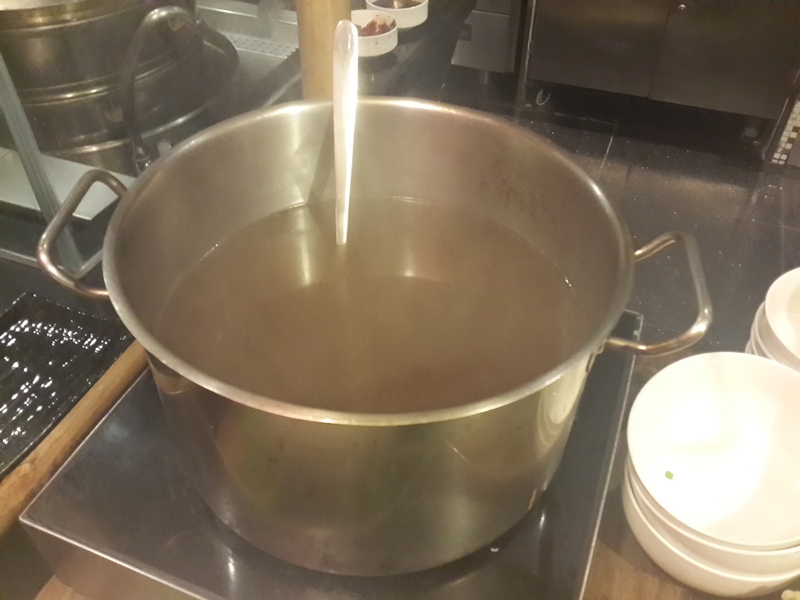 The most delicious chicken soup. 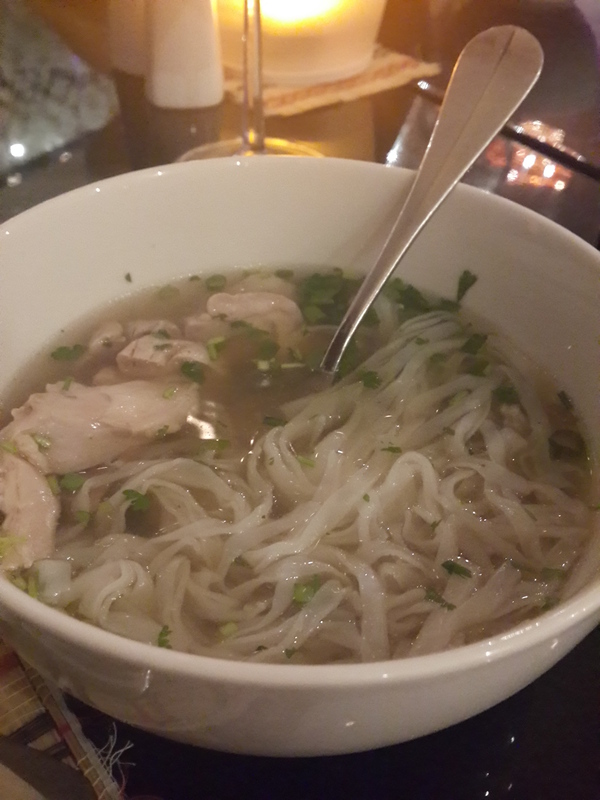 It has the perfect chicken broth, topped with mixed herbs, boiled chicken and Vietnamese noodles. It was pure pleasure. 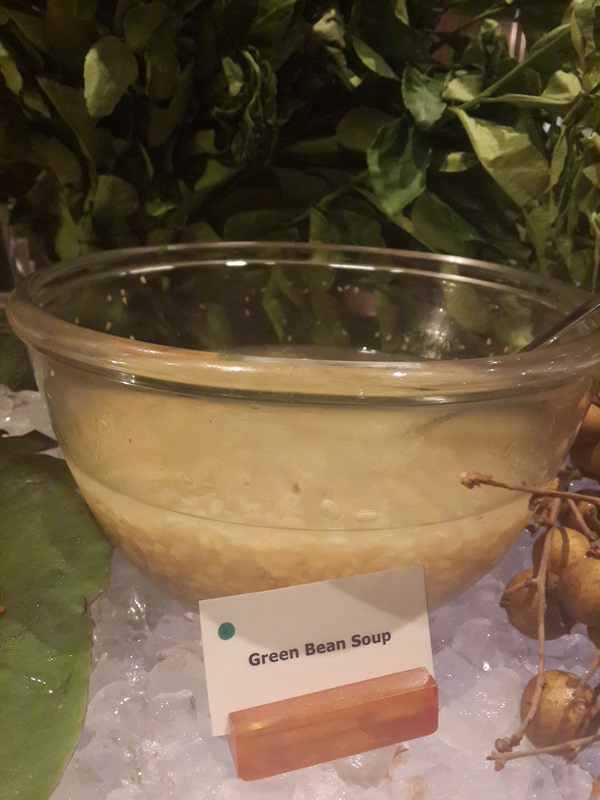 I hope, I could have the recipe of this soup, like seriously, this is the world’s best comfort soup. If I would be ill and drink this soup, I would be up and about and in a good mood in no time. ( And this is coming from a non soup person). The main course had Fried Rice and Noodles, Baby corn and Cauliflower in Vietnamese Gravy, Sauteed Seafood with Onion and Leek, Steamed Fish with Soya Sauce, Broccoli and Pakchoy toast in Garlic, Braised Beef with Tomato Sauce. Now all these sound great and looked great. For the flavors in them, I cant say much. To be truthful it was way too bland for me. The sauces mentioned in the respective dishes were very very minimum. You could just taste the main ingredient of the dish and not much of the flavoring. Not really much on the dessert side. There was Green Bean Soup, Fried Pineapple and Mango and Coconut Soup. Nothing great is really happening at the dessert section. So even if you avoid it, its okay. 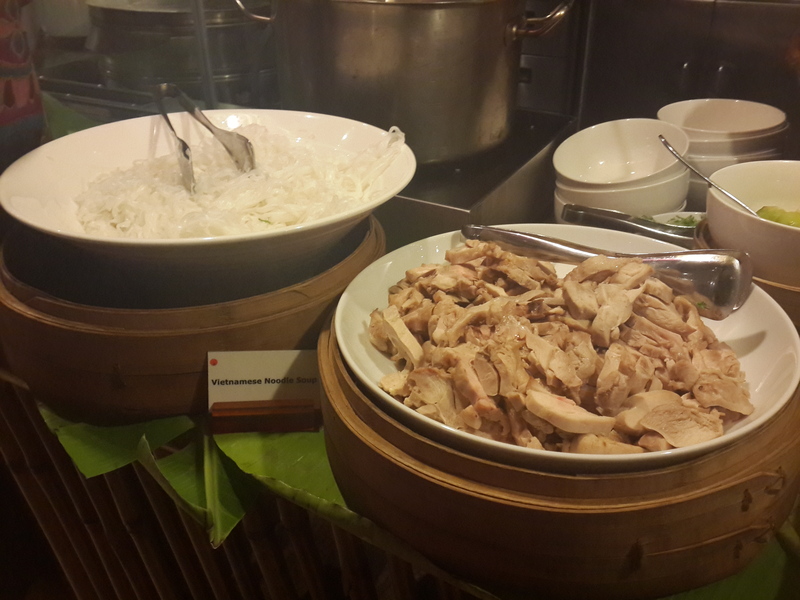 Vietnamese food I feel is the best food, if you only want to eat healthy food. 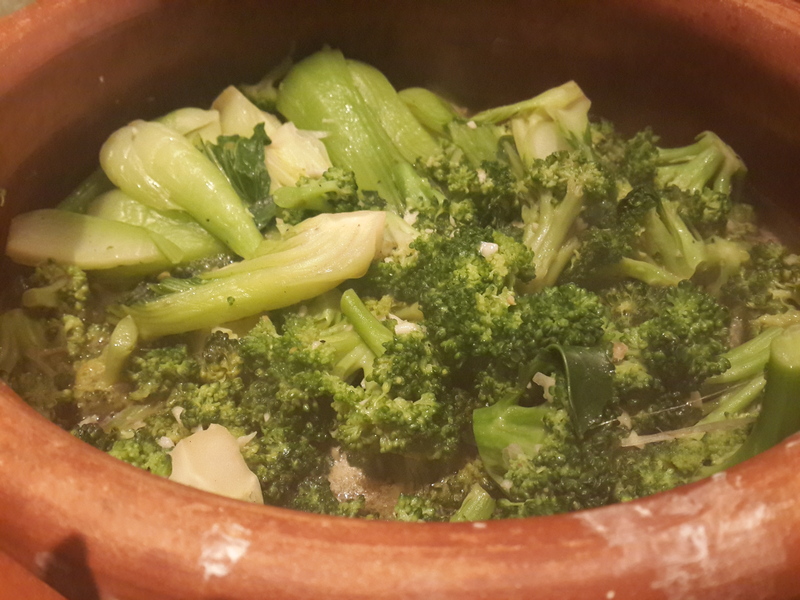 Less oil, extremely less sauce, mostly steamed food. 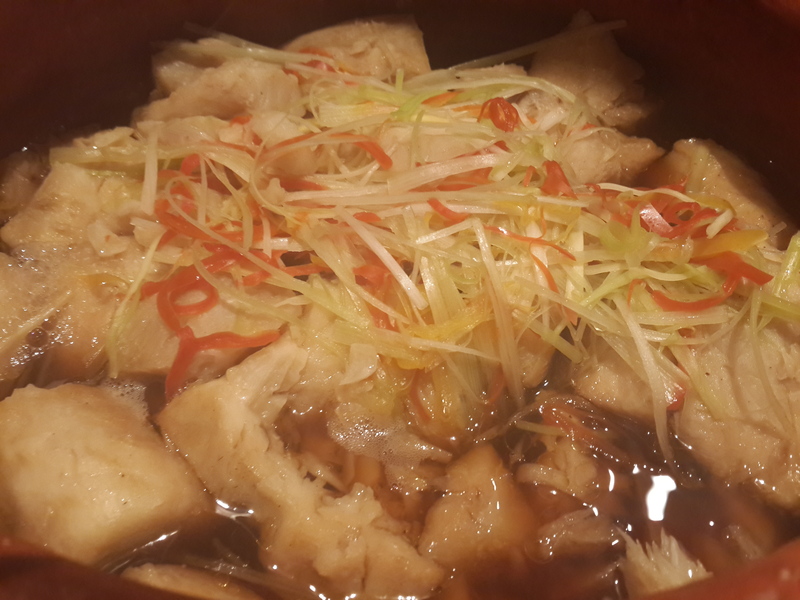 It is making the main ingredient of the dish the hero without adding much other things to it. I will say that Vietnamese food is not fancy food. 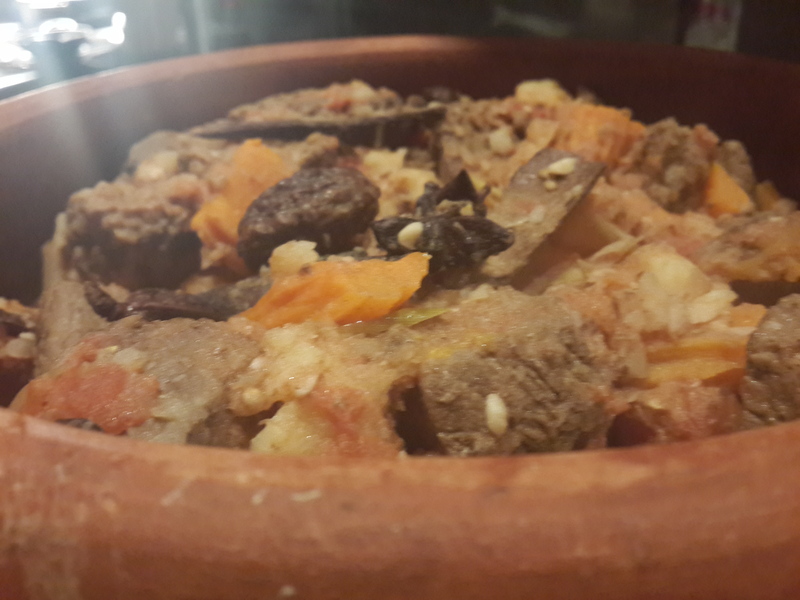 It is a healthy food with a very earthy feel to it. Though it is a bit too simple for our spiced up Indian palate. 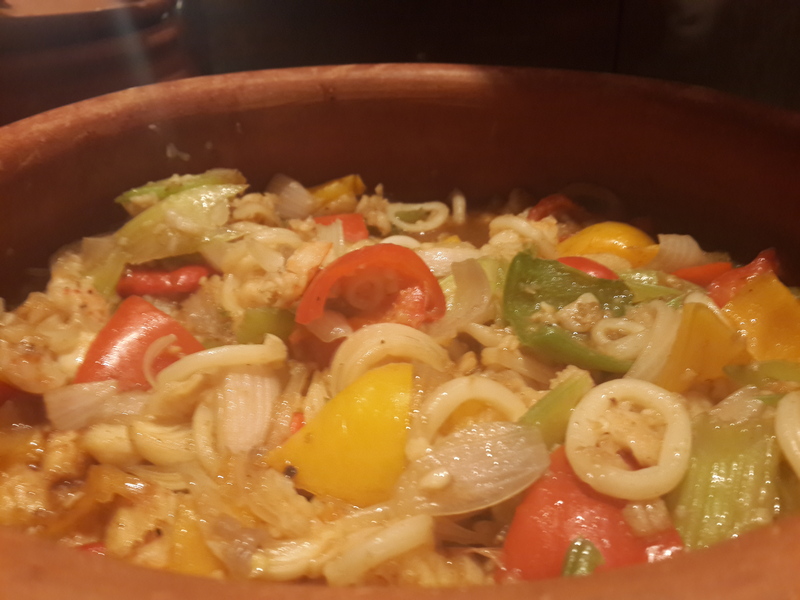 People who love to experiment and try different cuisines, can go and try it. But people who are used to spicy Asian food would find it disappointing. You wont have any ” burst of flavors in the mouth ” moment, but will see the simplicity, essence and the passion for Vietnamese food by the Chef Dao Van Son and his team. The festival is on till the 3rd June at Pondicherry Cafe, Sofitel, Bandra Kurla Complex ( BKC ), Mumbai.